Get in touch with our kind and polite client support representatives right now. Ask for more information about our diligent and extensive sofa and upholstery cleaning method. Make an request for free right away! Just use this telephone number 020 3746 5234 at any convenient for you time! We will be happy to set up our hassle-free service as soon as possible for you. We are happy to present you our customer-oriented and experienced sofa and upholstery cleaning company Ilford IG5. RA Sofa Clean has been out there for more than ten years. During this time we have managed to acquire the most efficient cleaning techniques. With time, we also managed to invest in modern and luxury machinery for deep and thorough sofa and upholstery cleaning method that requires nothing from a customer to provide us. We bring everything and we ensure you great final outcome. The cleaners bring everything needed and you don’t have to buy us any tools or detergents. We use only organic and harmful items. The cleaners offer you a free tip on upholstery and sofa care per visitation. The very first thing you have to do is to get in touch with our polite and kind customer support associates. Know that the whole crew in RA Sofa Clean is understanding and we are ready to meet your professional and personal program. We work 365 days per year - with no exceptions for weekends and holidays. 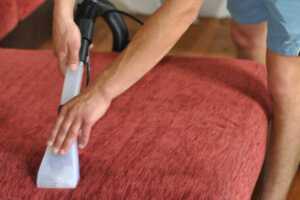 We are also pleased to set up for you same-day or urgent upholstery and sofa cleaning service in Ilford IG5. The skilled cleaners will come to your place in advance to inspect the furniture and to settle a final date for the service. We provide you free quote in advance, too. Be aware that we don’t charge you for stain removal or for any equipment. 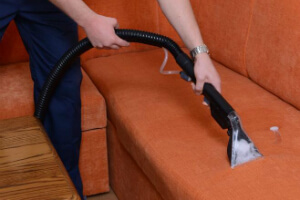 Our sophisticated Ilford IG5 sofa and upholstery cleaning services are suitable for domestic and commercial purpose. Every one of you can benefit from it: tenants, property managers, home owners, office and big corporate buildings. Real estate agencies and landlords get special discounts for our services. It is not a secret why we are so successful. We just love our job and we never leave a place with unfinished job. We approach a customer individually and we accept all furniture types: wool, cotton, synthetic, viscose, organic fibre, linen, silk, plush, chenille, suede, leather, acrylic, nubuck. Don’t waste more time, but make a booking for our top-notched sofa and upholstery cleaning service in Ilford IG5 right away! Get a totally free quotation today! Just give us a call on this phone number 020 3746 5234!